Financial Mathematics is the application of mathematical methods to the financial problems. Examples of such problems are the valuation of assets and financial instruments as well as the allocation of resources. Centuries of experience have produced fundamental theories about the way economies function and the way we value assets. Models describe relationships between fundamental variables such as asset prices, market movements and interest rates. These mathematical tools allow us to draw conclusions that can be otherwise difficult to find or not immediately obvious from intuition. An example of the application of models is stress-testing of banks. 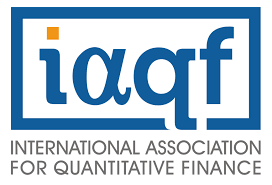 Equivalent names for financial mathematics include quantitative finance, financial engineering, mathematical finance, and computational finance. Traditionally, investment banks, commercial banks, hedge funds, insurance companies, corporate treasuries, and regulatory agencies apply the methods of financial mathematics. Industries that rely on commodities (e.g. energy, manufacturing) also use similar techniques. These fields draw on tools from probability, statistics, stochastic processes, and economic theory. Especially with the aid of modern computational techniques, we can store vast quantities of data and model many variables simultaneously, leading to the ability to model quite large and complicated systems. Thus the techniques of scientific computing, such as numerical analysis, Monte Carlo simulation and optimization are also an important part of financial mathematics. The Financial Mathematics Program provides technically trained professionals with an understanding of how to value financial derivatives and complex investments, and assess the associated risks. Graduates must have a rigorous training in mathematics, especially in the area of stochastic processes and probability, in statistics, and in computation, together with a foundation in the institutional operation of financial markets. The Program also provides a focal point for Financial Mathematics activities such as research seminars and workshops. The core courses have been chosen to provide students with a strong mathematical background, statistical and computational tools, and a comprehensive description of financial markets. 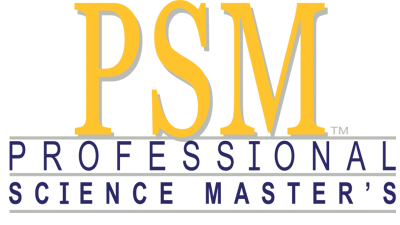 The core courses and electives are offered by Poole College of Management (Business Management and Economics), College of Science (Mathematics and Statistics), College of Engineering (Computer Science and Industrial and Systems Engineering ), and College of Agriculture and Life Sciences (Agricultural and Resource Economics). Students are also required to work as a summer intern or work on a industry-originated summer project. Students get to work one-on-one with the Executive Career Coach to enhance their professional and career development skills, while defining their career goals and gaining valuable resources. Our students have been placed successfully in full-time jobs and internships. We have 100% placement rate. GARP’s goal is to help create a culture of risk awareness within organizations, from entry level to board level. In the areas of financial and energy risk management, GARP sets the global standard in professional designation with the FRM (Financial Risk Manager) and ERP (Energy Risk Professional) certifications. Through our educational programs, specialized content, in-person or online events, and chapter program, GARP promotes best practices in risk management and supports ongoing professional and career development for risk managers.GARP scholarship program is now solely for those students of our academic partner programs. Each academic partner program will be able to nominate up to six students and one faculty member/program administrator each year for a FRM/ERP Part I Exam scholarship. NC State is an FRM Academic Partner.